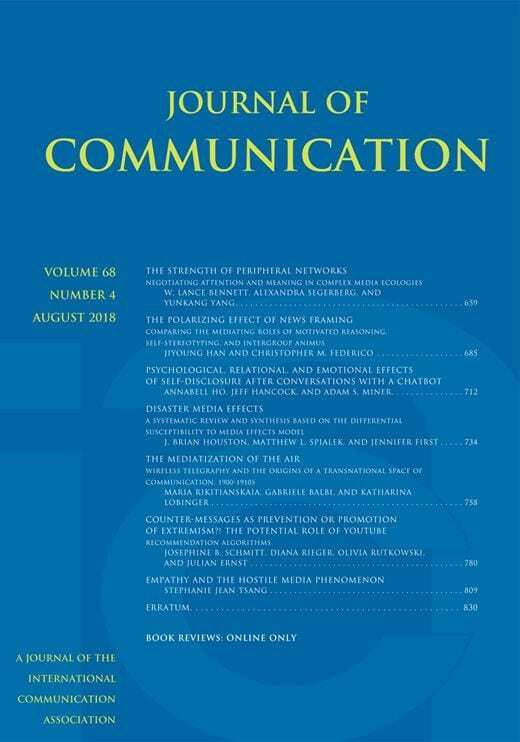 Starting September 1, 2018, I will be serving as an editorial board member for the Journal of Communication. JOC is one of the flagship journals in the field of communication (currently Ranked #2 in Communication). Under the direction of the new Editor-in-Chief, Lance Holbert (Temple University), I am looking forward to seeing more manuscripts that can make an impact to communication theory and practice. Congrats to my URECA Students!